Our parish has excitedly embraced this transition as a new opportunity for spiritual and congregational growth. Our attitude is “what can we do to help?” This resiliency and openness are the fruits of a church that is strong and ready for growth. We believe that with our steadfast trust in God, our open communication, and our service to each other and our community, we will continue to bear fruit in this time of change. 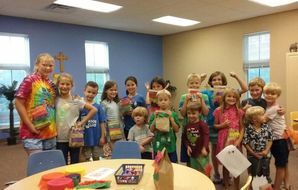 St. Christopher’s Episcopal Church is located in award-winning Carmel, Indiana, which has seen a remarkable explosion of growth in the past 20 years, going from approximately 37,733 people in 2000 to over 95,000 in 2016. While St. Christopher’s has grown from approximately 40 families in 1956, when it was founded, to 274 families in 2018, we would like to grow St. Christopher’s to tap into the vibrant city that Carmel has become. We are looking for a rector to help us become a pillar of this dynamic community representing the Episcopal Tradition and showing Christ's love through action. We believe that we are called to care for and connect enthusiastically with all people as Christ does with us. We seek to live this call through the ministries of worship, evangelism, education, service and fellowship. With an external focus on service in our community, outreach is a hallmark of our church. We continually strive to support, equip, and strengthen each other on our spiritual journeys as we create a loving and comforting congregation which reflects God’s love in our lives and in the world. St. Christopher's began in 1956 by making use of a small space in the local high school cafeteria. Two years later, our first church building was constructed near where St. Christopher's is located today. In 2002, following a successful capital funds campaign, we began building our current, 51,000-square-foot facility. Our Education and Administration wing was dedicated in 2004, our Parish Hall and Worship Center Building was dedicated in 2006, and our Nave and Sanctuary was dedicated in 2009. Our parishioners recognize a need for our church to grow and become a leader in this vibrant community. We have a strong foundation of outreach but are looking to multiply our opportunities to serve and inspire others by hosting various classes and/or programs at St. Christopher's. We have a beautiful building with room to host such diverse outreach. We want a strong youth ministry and to engage younger and more diverse residents of the surrounding community to join our loving congregation of faith. Thank you for your interest in serving as our next rector. Our application window has closed. View/download a print version of The Parish Profile. We offer a variety of worship services. Our 10:00 A.M. Rite II service includes St. Christopher’s Choir, organ and traditional hymnody. During this service, we provide nursery care and Sunday school for preschool and elementary school students. Our older youth are involved in this service as Choristers, acolytes and lectors. Our younger children sing in the Cherub Choir once a month. Holy Unction is offered on the first Sunday of the month. On Sundays at 7:45 A.M. and Wednesdays at 10 A.M., we provide a quiet, meditative Rite I service. The midweek service is held in the upstairs chapel. We offer special liturgies on selected feast days and during Holy Week, including Festival Eucharists on Christmas Eve and Easter. Twice each year our choirs sing Evensong. We have a strong music program with a committed adult choir and a devoted Director of Music. We derive much of our spiritual fulfillment from our congregation, which is open to trying other liturgies, musical selections or service times to enrich and grow our community. Our church operates as a pastoral church characterized by deeply personal relationships between the congregation and our priests. Our congregation values these relationships, and also recognizes that in order to serve our community and become more diverse, we need to function as a program-sized church. Our parishioners want more programs that support spiritual development, create sustainable ministries in our community, and promote fellowship between members. Our congregation wants to grow and better support younger members. Our Sunday worship services average 224 attendees and draw from six surrounding communities with the majority of our parishioners (57.4%) from Carmel. We believe our strengths are stewardship, service to the surrounding communities, and a strong sense of fellowship within our church. We believe that, as faithful stewards of God’s gifts, we have a responsibility to share our time to develop meaningful relationships and help others; to use our talents in ways that will bless ourselves and others; and to give of our financial resources. We support numerous outreach projects with funds and donations over and above our operating expenses. Some of these programs include providing bins of holiday-meal supplies to a local neighborhood center; sending 819 pounds of church-grown vegetables to food banks across Hamilton County; and partnering with other organizations to help those in need. Recently, in 2017, St. Christopher's began collaborating with the Carmel Youth Assistance Program and the Hamilton County Harvest Food Bank, among others, and started a new feeding ministry called the Summer Lunch Program. This program provides food during the summer months to families that no longer have access to free school meals. We are proud to report that due to the generosity of our congregation, this ministry has doubled in size this summer. Another example of a project accomplished with lay leadership and outside of our budgeted expenses is our natural playground. Completed in April 2018, our church playground provides a place where our congregation and those in neighboring apartment complexes and offices can reconnect with nature and play creatively. It was made possible with a grant from a local organization, in-kind services donated by local companies, hundreds of volunteer hours, and $28,000 raised quickly within our congregation to help with construction. We conducted three successful capital campaign, raising more than $11 million for our facility. We currently owe about $800,000 and have addressed debt retirement. Our pledged and open-plate income account for 90% of our 2018 operating budget, which is balanced. The remaining 10% of our income comes from sources such as rental income and special offerings. St. Christopher's is located in Carmel, Indiana, a suburb of Indianapolis and the fifth-largest city in Indiana. We were founded in 1956 as the result of a survey made by St. Paul's Episcopal Church in Indianapolis to determine where new work of the church should be directed. We have grown over the years from our small space in the local high school to our first church building in 1958 to our current, 51,000-square-foot facility consisting of an Education and Administration wing dedicated in 2004, Parish Hall and Worship Center Building dedicated in 2006, and our Nave and Sanctuary dedicated in 2009. The City of Carmel spans 47 square miles across Clay Township in Hamilton County on the north side of Indianapolis. The city has been transformed by ambitious redevelopment projects that have created a flourishing city that is no longer simply a place to sleep at night. For more information about the City of Carmel, please visit our city’s website or reach out to Community Relations & Economic Development Director, Nancy Heck at 317- 571-2494​. St. Christopher’s is part of the Episcopal Diocese of Indianapolis. Led by the Rt. Rev. Jennifer Baskerville-Burrows, the diocese comprises 48 parishes and 9146 members, covering the central and southern regions of Indiana. 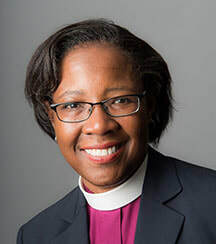 ​Grounded in God’s love in Christ, the Episcopal Diocese of Indianapolis is called to reach out with a radical welcome and bold witness to serve and transform our world. Our priorities are to support clergy and laity as beacons of Jesus Christ for southern and central Indiana and the world, encourage a missional mindset for all of our faith communities, stand with the vulnerable and marginalized working to transform systems of injustice, and connect more effectively with each other and our neighborhood partners.